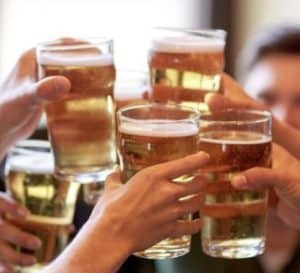 The fact that the original “Beowulf” text is more than 1,000 years old and very much mentions this type of brew points to the fact that mead has been quenching the thirst of Viking warriors and weekend warriors alike since the dawn of history. 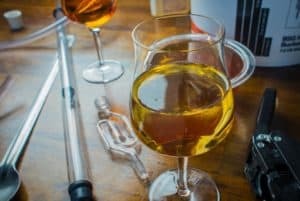 With the upsurge in homebrewing in recent years, it has re-emerged into the societal spotlight and many a homebrew aficionado wants to know how to make honey mead so that they too can live a legendary life. Below we’ll explain what it is, what ingredients are involved and how to brew mead in your own home. 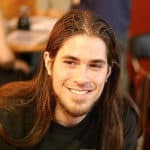 1 What is Mead and What Does It Taste Like? 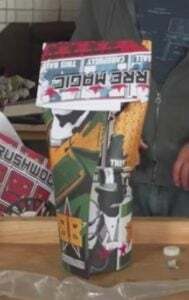 2 What Is It Made From? 4.10 Step 10: Enjoy Your Mead! What is Mead and What Does It Taste Like? Mead or honey wine as it is sometimes known, has been with us virtually since the dawn of civilization and yet there are still misconceptions that surround it. One is the belief that it is in fact beer; another is that it is a form of wine. But these miss the point. It actually occupies its own niche in the pantheon of fermented beverages and can be any such beverage that derives its primary fermentables from honey . What does mead taste like? As observed, It might be closer to what we know as hard cider. Although truth be told, it tastes like it. Some of its many strong points include the fact that there are many ways on how to make mead and most of it are just easy. 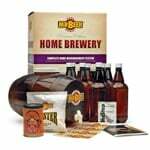 When it comes to making this type of homemade brew, you’ll need the following ingredients. Thankfully, none of these mead ingredients are particularly exotic or expensive. Water – Best to use pure spring water just like our ancestors did. You might be tempted to go to the extreme and use distilled water but check that impulse. Distilled water simply doesn’t have the necessary character to create a proper mead. And believe it or not, spring water does. Honey – This is what separates it from its cousins — beer and cider. If you can get it pure and it has not undergone a lot of processing, then that would be the best honey for mead. Yeast – Try not to use brewer’s yeast. The best yeast for mead is champagne yeast or a general purpose yeast. Spices and fruit – Many homebrewers like to spice up their homemade brew (literally) to give it more character. Spices can be added before or after fermentation although before is preferred. Nutmeg, clove, cinnamon and more are typical spices added to their brew. Fruits are also often added to create an enhanced flavor profile. Stabilizers – If you’re racking your honey after fermentation you’ll want to add a bit of stabilizer to the carboy or plastic bottle. Now that you have your ingredients, let’s look at the equipment you’ll need that Hrothgar would be proud of as seen on its colorful history. 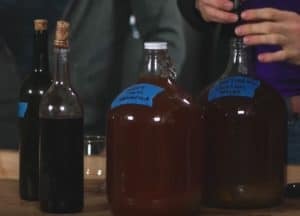 We’re going to provide you with two different but equally good methods to make your own mead, and both the equipment list and this simple DIY recipe will reflect this. 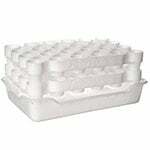 High-quality plastic tub – You’ll use this plastic tub to mix and ferment in one of the methods we’re going to show you. For this method, you’ll also want to have a carboy on hand to rack the fermented honey mead later. 2 one gallon bottles of spring water – You’ll be mixing and fermenting your mead in water using the other of our 2 methods. Plastic tubing – 5 to 10 feet should do. You’ll use this tube to siphon the mead into the carboy when it’s done fermenting and later still into bottles. Stirring spoon – Can be wood, plastic or stainless. We’re partial to stainless, but it’s up to you. Fermentation airlock – This will allow gas to escape during the fermentation process but won’t allow air to enter the fermentation vessel. The airlock should fit the carboy perfectly. 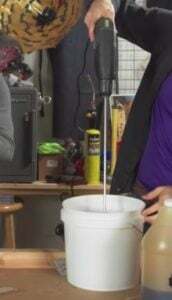 In lieu of a professional airlock, you can use small balloons and poke tiny holes in them with a needle. Hydrometer – The hydrometer allows you to determine the alcohol content of your mead. Sanitizer – This cleaner will make your equipment sanitized prior to brewing. The following honey mead recipe will work with either the 1-gallon plastic water bottles or the plastic tub. 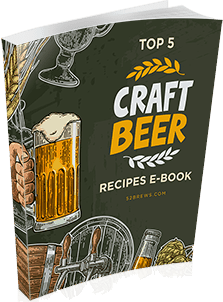 This DIY guide will surely help you make your own homemade brew. Make sure to sanitize everything before getting started. That includes the tub fermenter, spoons, and plastic tubing. 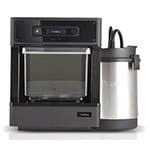 It’s best to use a sanitizer that’s standard to home brewing, like Star San. Combine 3 pounds of the honey of your choice with 1 gallon of water. If you are using the plastic water bottle method, you’ll have to remove some water. 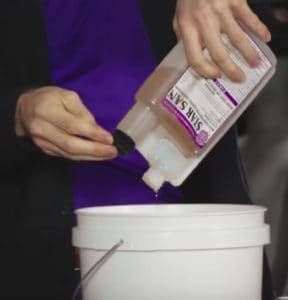 Mix the must by either shaking it (water bottle method) or using a power drill with an attachment (plastic tub method) that in effect blends the honey into the water. Even with the power drill/blender attachment this will take some time so be patient. It is crucial that you mix the water and honey together thoroughly. It’s fine to use the stirring spoon if you can’t find an adequate blending attachment for your drill. Use the hydrometer to check the specific gravity of the must. 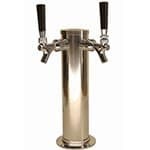 Checking the specific gravity will allow you to determine the potential alcohol content of the finished product. The hydrometer itself will have the specific gravity and the corresponding potential alcohol content indicated on the side. If you determine that the mead is going to be stronger and sweeter than you’d like simply add some more water and then test again until you have the potential alcohol by volume you’re after. Once you have the desired ABV established it’s time to add your yeast. Stir or shake the mixture until the yeast is thoroughly mixed in. If you want to add fruit and/or spices to flavor now is the time to do so. If you have mixed your ingredients in a tub now is the time to cover it for fermentation. If you have mixed them in large plastic water bottles as in the video, it’s time to install the airlock. If you have opted to use the water bottle method the balloons will act as your airlocks so stretch the balloons over the top of your water bottles now. If you like, you can secure them using rubber bands although that shouldn’t be necessary if the balloons are small enough. 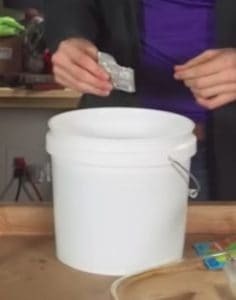 If you are using the pot or plastic tub, you’ll install a traditional airlock as in the video. This is the time when you’ll have to let the mixture ferment. If you used the water bottle method, you’ll need to wrap the bottles in opaque paper or cardboard to prevent light from getting in and affecting the fermentation. How long does it take to make mead? Well, fermentation itself is going to take at least 2 weeks. However, if you want your homemade brew to be at its smoothest, tastiest best, you’ll let it sit for several more weeks after fermentation is complete. Remember, homebrewing is a process, not an event. Also, make sure to ferment your mead in a cool dark place and not on your sunny back porch. If you used the tub method, you’re going to want to remove it from the tub after fermentation is complete so you can rack it. This is what you have the plastic tube and carboy for. As we said, although the fermentation will be complete in about 2 weeks, your mead will not really taste like much at that point. The longer you can let it sit without dipping into it the better. Some people (like the guy in the video) prefer to let their mead sit for 2 months. But that’s not mandatory. Just test it periodically to determine when it’s at its best, whether that be 2 weeks or 2 more months. Step 10: Enjoy Your Mead! Mead, as they say, is the drink of the gods. So sit back, relax, down that glass, and pretend you’re a god on Olympus looking down at them puny mortals from below (at least while your homemade brew lasts) . 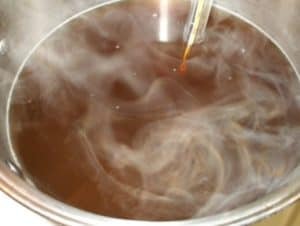 If you are at all familiar with the homebrewing of beer, you may have noticed that there is no boiling step in the above DIY recipe. That’s because mead doesn’t have to be boiled and in fact, many people believe that boiling it robs it of its potential flavor. There is less risk that contaminants could ruin your brew. The honey dissolves more thoroughly when you boil the mead. It obviously adds an extra step. It adds the risk of trying to move boiling hot mead around. Some claim it destroys its aromatics. Boiling is not advised for some of the more delicate honeys. At the end of the day, the choice of whether or not to boil your mead is up to you. 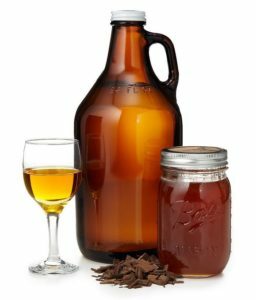 How to bottle mead? – Siphon it from your tub or plastic water bottles using a ½” to 1″ diameter plastic tube. As they explain in the video, it’s like siphoning gas from a car. How much honey is needed? – Approximately 3 pounds for every gallon of water. But mead making is not an exact science, and you may want to adjust amounts to your own taste by trial and error. How long does it last? – If you bottle your mead properly, it may well last for years. However, once opened it’s not going to retain its flavor for long and will go bad fairly quickly unless stored in the refrigerator. If you recap it tightly and throw it right in the fridge, it might last a couple of months or more. 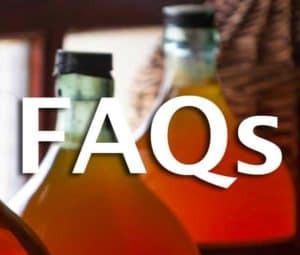 How long does it take to age mead? – As we touched on above, the longer you age your brew, the better, within reason. A couple of months is considered by many to be optimal. How does it taste? – It depends on the DIY recipe, the spices, fruit added (if any), and the amount and type of honey used. Some people think it tastes like mead, while others compare it to cider. How to store it properly? – Store in a cool, dry place with the caps firmly affixed. If you open a bottle of mead and don’t finish it replace the cap as tightly as possible and store it in the fridge as we mentioned above. 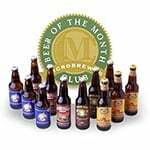 Mead is one of the oldest, if not the oldest, fermented beverages known to man. It has been passed down through hundreds of generations because it’s cheap and easy to make and it can be tweaked to conform to your own particular tastes. 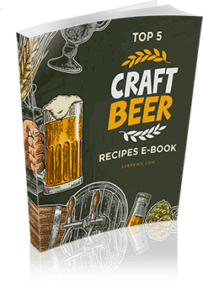 The simple DIY recipe laid out above is only one possible guide, and again, if you want to boil your brew, there are dozens of mead recipes available that will suggest the right way to do that as well. Making mead for the upcoming holidays will transform your social occasions into the talk of the town. So go get some honey, yeast, and get to work!